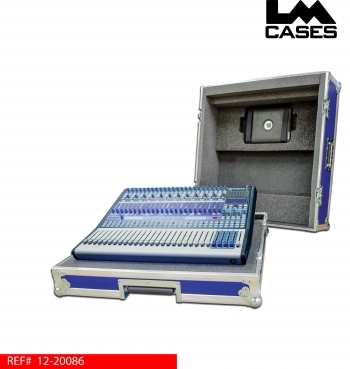 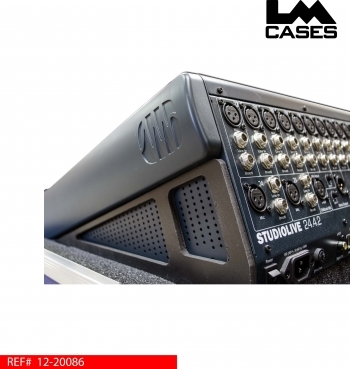 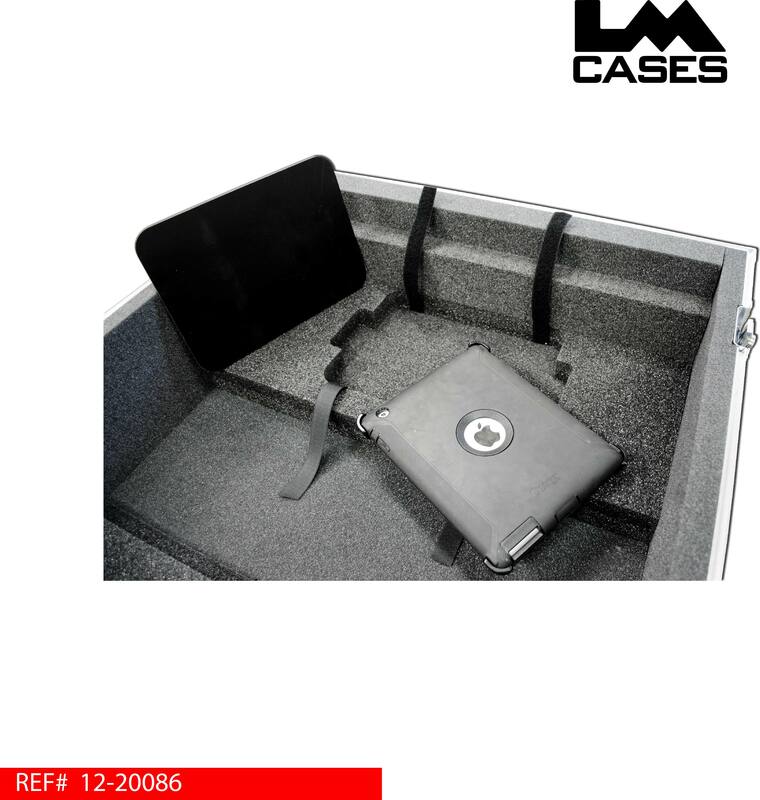 This case is designed to be a lightweight carrying case for the Presonus Studiolive 24.4.2 console. 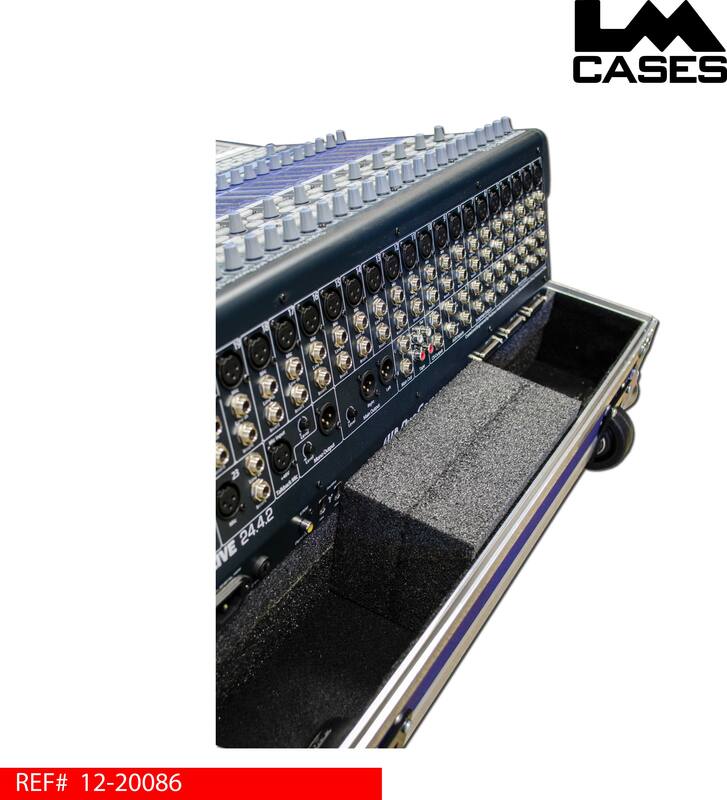 The case is built out of 1/4” plywood and features a 1” Ester foam lined interior. The console is held in place by 2 Marine Grade plastic side rails, the case interior also features storage for an iPad in the case lid. 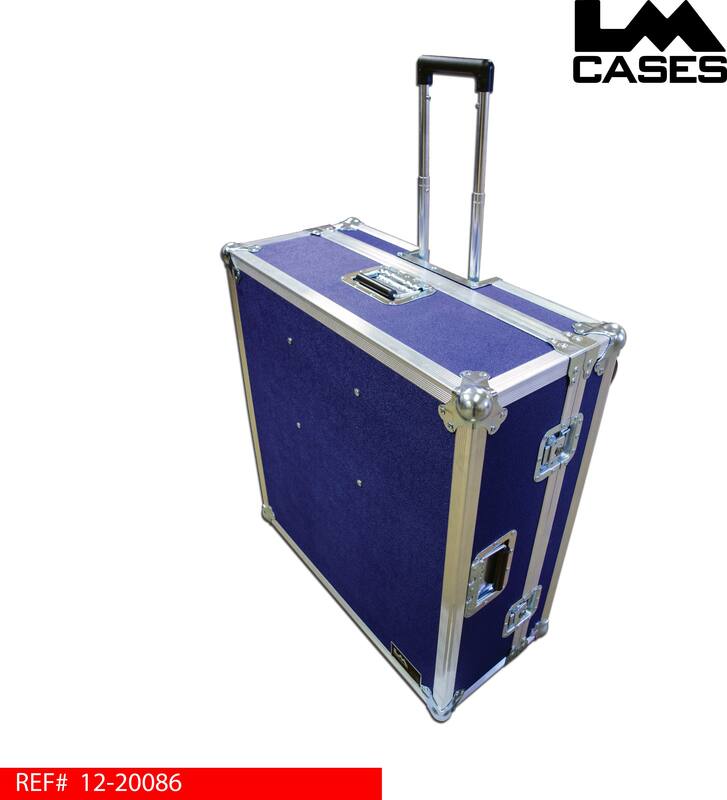 The case also features a telescoping aluminum handle and inboard dolly casters, both the handle and wheels are field replaceable with a phillips screwdriver.